Listen, bub, you're too important to hold the phone for three hours while "customer service" tries to get its act together. You're busy; you have things to do, emails to answer, minions to command. So don't get frustrated when you need tech support--get human. 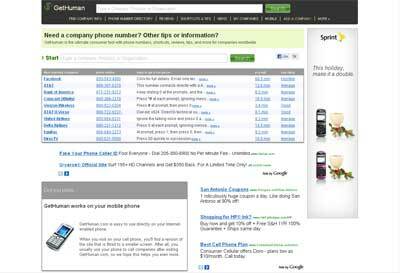 GetHuman.com provides listings of working phone numbers that connect to real people at banks, cell phone companies, airlines, and etcetera, so you can get the help you need now, not in the next century.